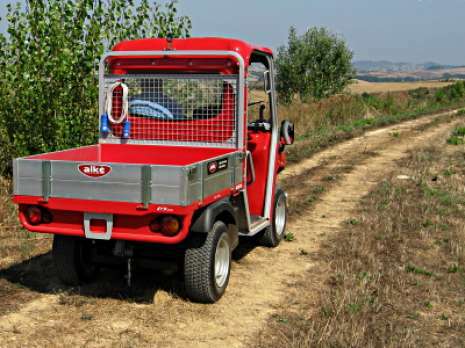 The Alkè agricultural vehicles are used in orchards, nurseries, greenhouses, vineyards and on countryside dirt tracks. 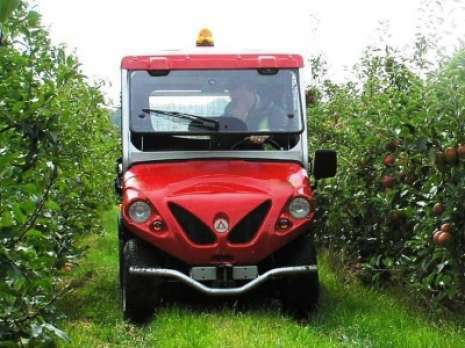 Alke' electric vehicles are widely used in agricultural enterprises that adopt organic farming methods as they are completely ecological, they do not pollute, and at the same time have the power necessary to perform challenging tasks; they are very strong, have high performance, are very narrow and have a unique towing capacity. 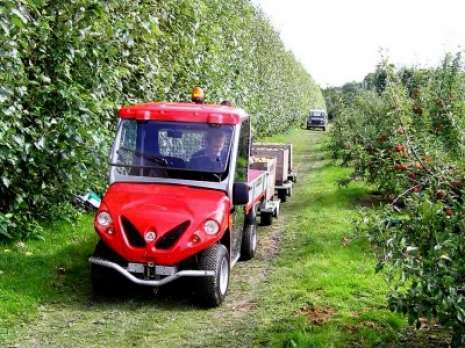 During the last few years changes have been made in the agriculture sector, passing from the use of large tractors to the use of small and efficient vehicles. 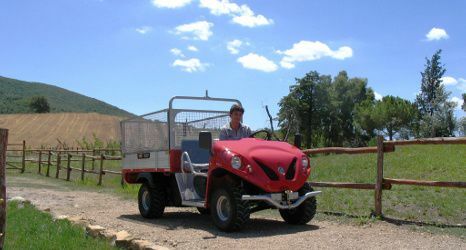 The world of agriculture has changed, small specialised farm utility vehicles are now used for a specific purpose, and in several cases they have an electric engine. 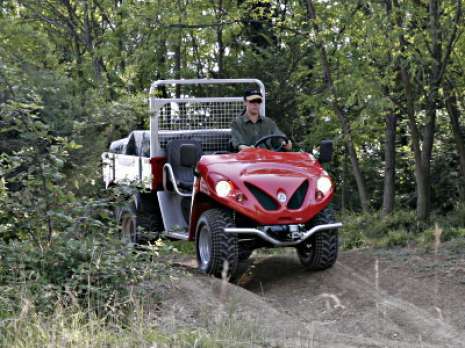 In fact, the Alke' electric vehicles are among the few that can be used in agriculture as they have an extremely strong chassis, deriving directly from the off-road ATX. The most suitable configuration depends mainly on the final job that the farm vehicle must perform. 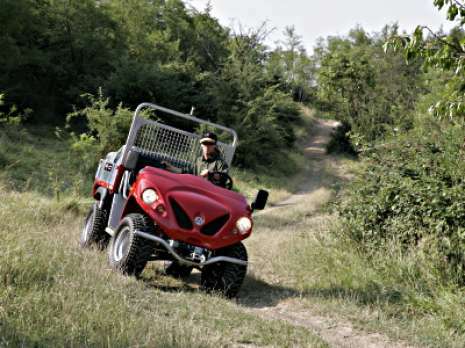 Ask yourself in which environment you intend to use the ATX (on light dirt or very challenging off-road conditions, open spaces or confined spaces, on flat or mountainous terrain ...). 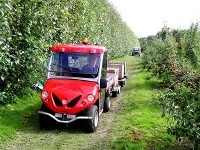 Thanks to the range up to 130 km, these electric agricultural vehicles can operate for the entire day without being recharged. The full-cab or half-cab has also proved to be very useful.